The Adidas miCoach Fit Smart wristband has been revealed over in San Francsico at the 2014 Wearable Tech Conference. The Adidas miCoach Fit Smart was comprehensively leaked last month but the sports giant has officially revealed the new device today at San Francisco's 2014 Wearable Tech Conference. Plenty of the leaked features appeared to be on target, including the look of the device – which is that of a more traditional activity tracker over Adidas' previous watch-baiting Adidas Smart Run device. According to the fitness giant, the change in look (including switching to an LED dot display over an LCD touchscreen) was about widening the appeal. “We wanted to keep giving people a reliable way of measuring heart rates in a reliable manner, but focus on bringing it to that broader audience,” Simon Drabble, digital sports director of project creation at Adidas told T3.com. 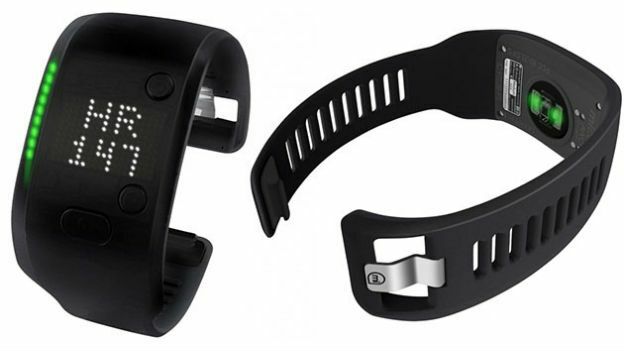 “We worked to make it thinner and smaller [than the miCoach Smart Run] taking into consideration the type of usage,” he said. Targeting a wider audience hasn't held Adidas back from throwing its considerable fitness expertise into the device. Along with the usual metrics; heart rate, calories burned and distance covered, there are also downloadable coached cardio workouts that can be stored on the Fit Smart. A light pipe, built into the left side of the device will light up green, amber or red depending on the intensity of the workout. Corresponding vibrations serve to guide you through the workouts. “We're also introducing weekly goals, which are workout challenges you can set yourself,” said Drabble. Chargeable over microUSB, Adidas says the 55g miCoach Smart Fit will last for a couple of days of active training but around five if you're using it merely as a standard activity tracker. In light of the news that Nike will cease production of the Nike+ Fuelband SE tracker, this could be the time to shine for Adidas – at least until an Apple iWatch or iBand shows up. “It leaves an opportunity, potentially one less competitor,” says Drabble, before telling T3.com that the Fit Smart has been in development since long before the announcement was made. The Adidas miCoach Fit Smart will go on sale on August 15 for €199 and we'll be bringing you a full review in due course.